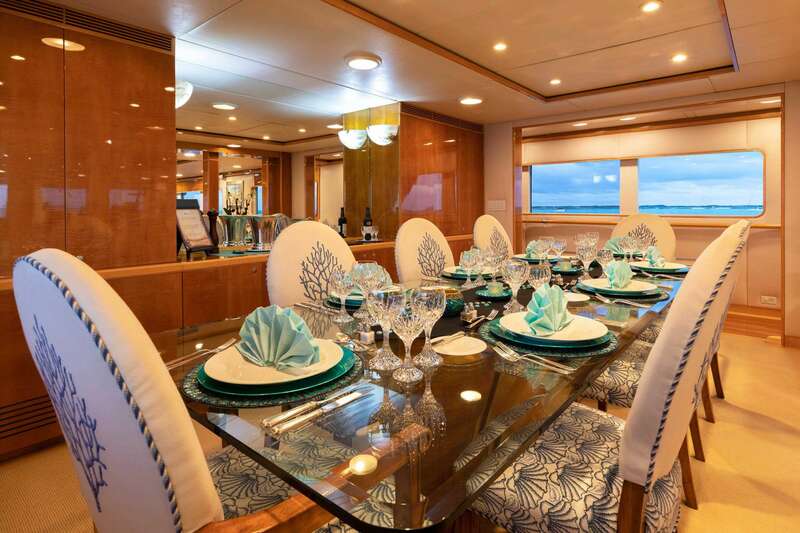 Sea kindly and strong, this luxurious 145-foot private ship accommodates 10-12 guests in five beautiful staterooms, all with ensuite bathrooms and private Jacuzzis. 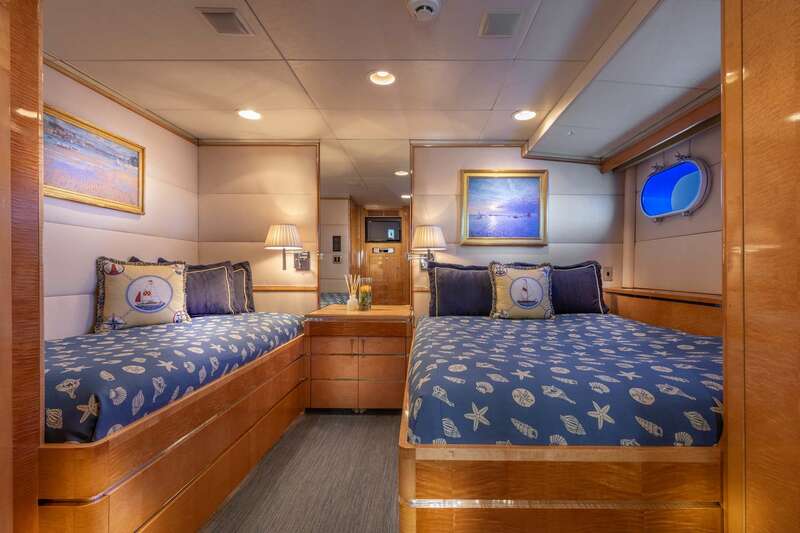 All five staterooms have state-of-the-art entertainment centers including flat screen satellite TV, DVD/CD, and Ipods friendly systems. 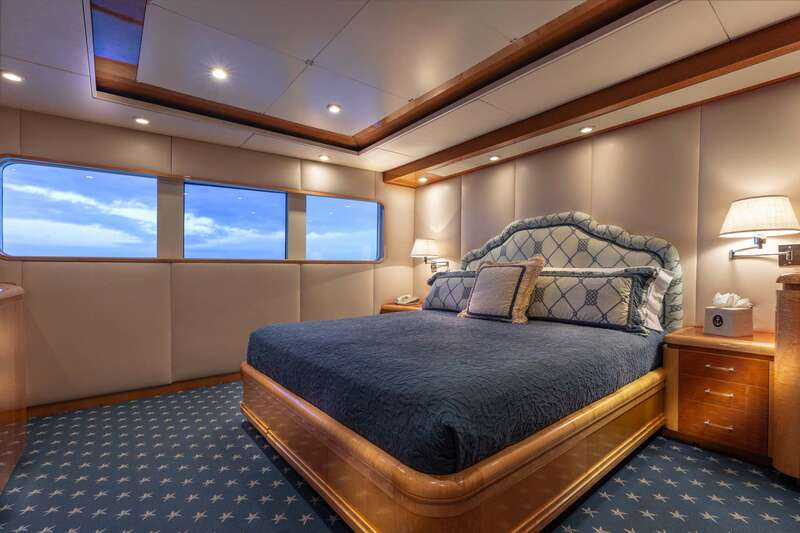 Two of the staterooms -- the master and the VIP stateroom -- are especially large and have king-size beds. The other three staterooms are also finely appointed, with a queen and a twin; two of these staterooms also have a pullman berth. 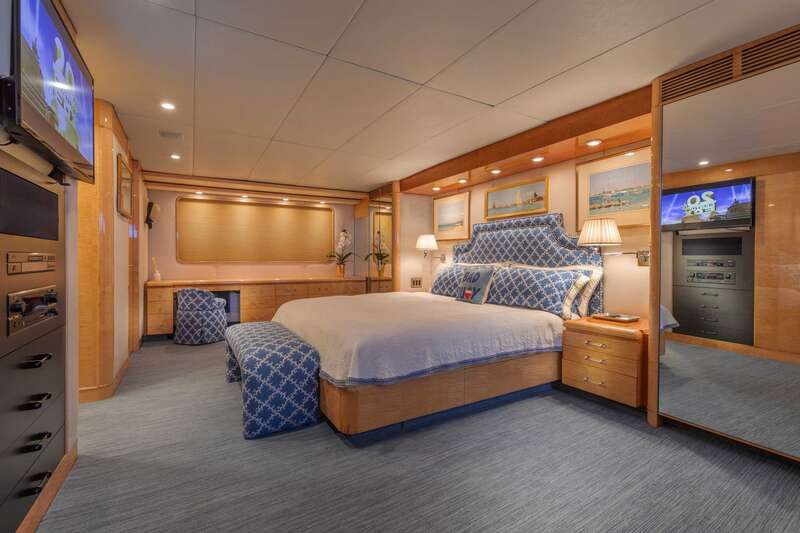 Very well suited for private, family, and corporate charters, Rena underwent a major refit in 2004-2005 and is in impeccable condition. She has a wide choice of sparkling new water toys for leisure-time fun (see list below), and WiFi compatibility for access to email and the Internet. 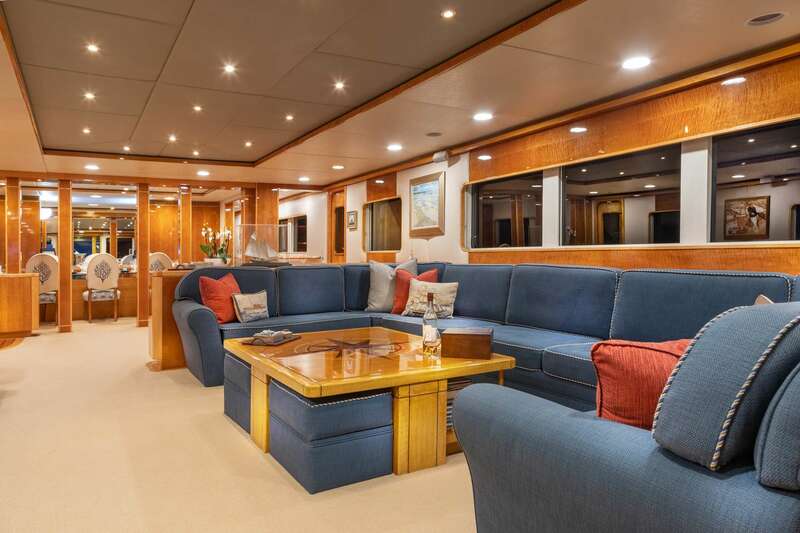 Rena offers an atmosphere of quiet elegance in the large saloon,and open spacious dining room while her many outdoor spaces are wonderful for more relaxed entertaining. 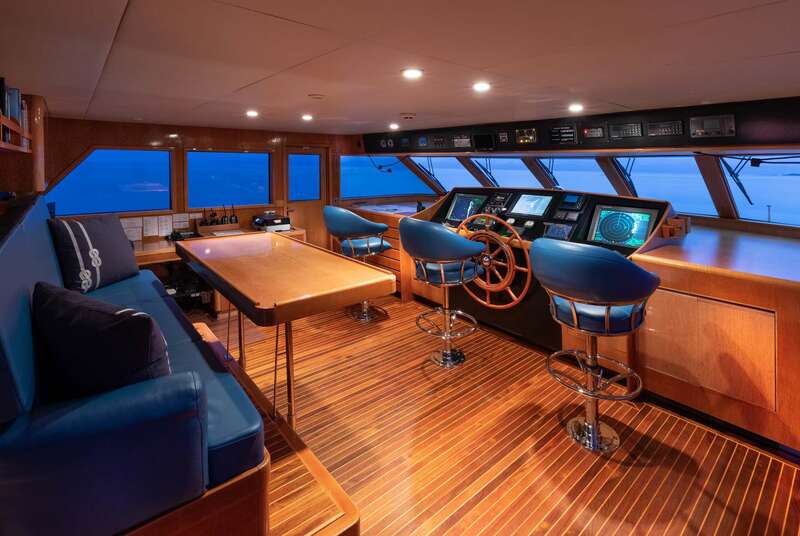 The large circular table on the broad covered aft deck comfortably seats 12 for meals, and this is also an especially pleasant place for cocktails. The upper deck, with its grill and bar, plus table and settees, is perfect for cookouts. 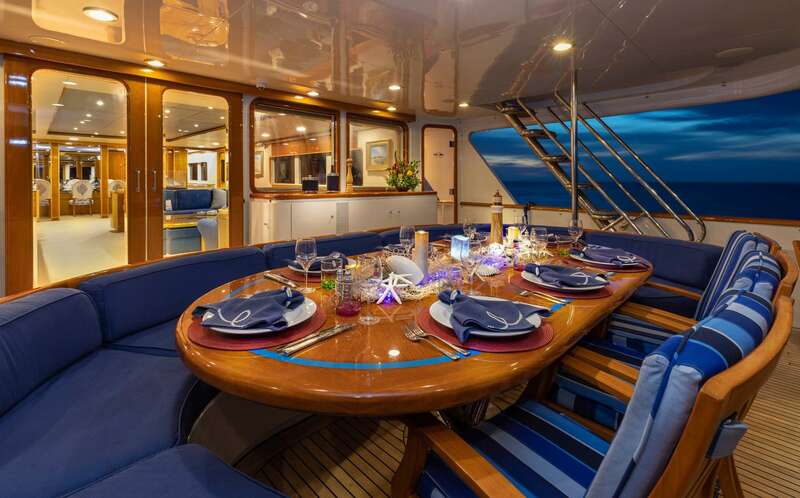 Rena is crewed by an outstanding and experienced crew of 8 who love to treat their guests to memorable theme nights, complete with costumes and delicious food. For the water enthusiast !! 17� Nautical Catamaran landing craft with 115�hp Fantastic for landing on beach. And anything else one requires! 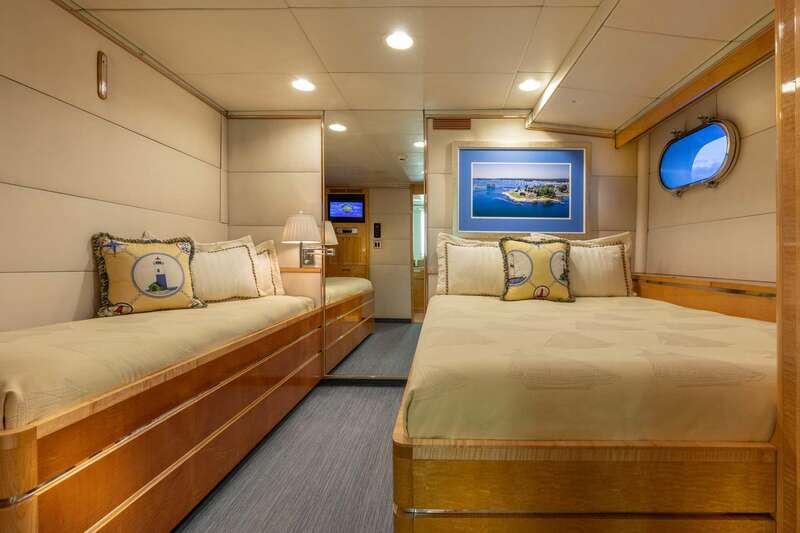 Accommodations: 10 to 12 Guests in 5 Staterooms: Two Kings, three Queens, three Twins and two Pullmans.